Charity Profits App is a new binary options trading system brought to us by Megan Sanders. The entire concept of this sales page is duplicitous. We are told that we can make $4000 a day and become a millionaire by helping others. Sadly, the world is built on a foundation of flowers and candies so be careful what you read online. Today I’ll be providing a review so that the Binary Today readers can learn whether or not this is a fruitful opportunity. The first thing I do reviewing a system like the Charity Profits App that makes a lot of promises is to verify the information on the sales page. At the bottom of the page there are a handful of images that are attempting to make the product look more legitimate. The images are supposed to prove that the website is verisign secured, mcafee secure, ssl protected etc. Yet, none of this is true. These are simply just images placed on the website to make it seem like it’s protected and trustworthy when it’s not. You can check this domain on any of those websites and you will find that I am telling you the truth. There is also an as seen on section at the bottom of the Charity Profits App sales page that claims the system has been discussed on Traders Weekly, Finance Times, Veterans.org, Water Relief and Love Africa. I spent a few minutes trying to verify this claim and I’m not surprised that I came up empty. This product has never been mentioned on any of these websites and I’m sure if you emailed any of them they would quickly deny the relationship. When dealing with any investment opportunity the number one thing to look for his trading results. Personally, when I’m looking into a binary options software I want to see around 3 months of trading history minimum. In the case of the Charity Profits App there’s actually no trading results at all. The closest Megan Sanders comes to providing results is two 40 second YouTube clips from customers. 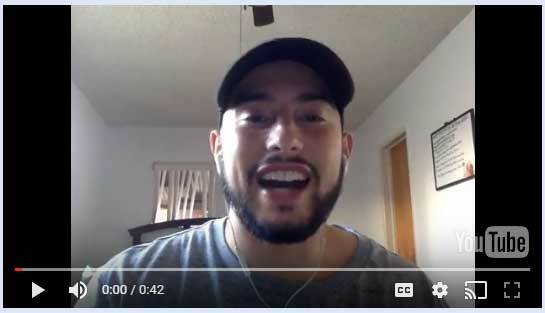 Although in this market testimonials can’t be trusted, especially when they can only be found on the sales page and nowhere else. It’s very apparent to me that the Charity Profits App is attempting to come across as a real genuine endeavor to hide their real motives. In actuality, to gain access you have to register with VX Markets, an unregulated binary options brokerage. A charitable organization would never have you depositing money with an unregulated binary options brokerage. This is clearly not an application we can trust moving forward. If you’re looking for a trustworthy brokerage I recommend you check out the top rated brokers here on Binary Today. 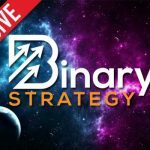 Also, if you are new to binary options please read through the binary options 101 guide and see what’s working for me and the rest of the binary options community. i would like to get started ASAP simply because i am going through a rough patch where money is such a need right now hence reaching out to the society to helop. Hi Michelle, please read the review. This is not a recommended product at all.